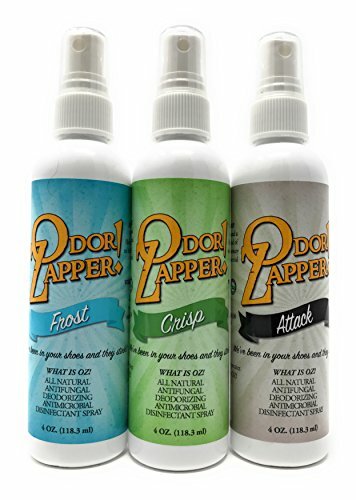 "Aggressively" hammer through those stinky items with Odor Zapper's unique scents containing a blend of essential oils. This variety pack includes: Attack (eucalyptus, rosemary and juniper), Frost (peppermint and lavender) and Crisp (spearmint and lavender)! We call it the "Aggressive Pack" because sometimes those stinky items are just too much! Two or three pumps on any "stinky" surface will smell amazing and eliminate the source of the odor!